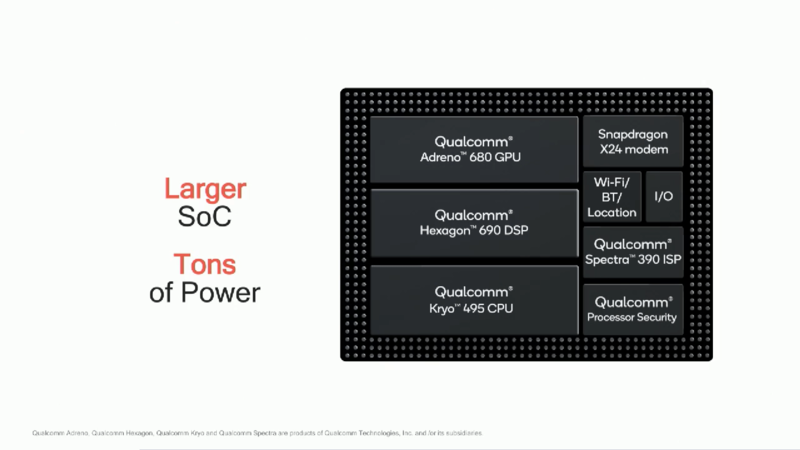 If you were clamoring to see Qualcomm’s ‘Snapdragon 1000’, it is finally here but with a different name, the Snapdragon 8cx. Being the industry’s first 7nm chip designed for notebook computers, the new SoC should deliver astounding levels of performance and command improved efficiency. 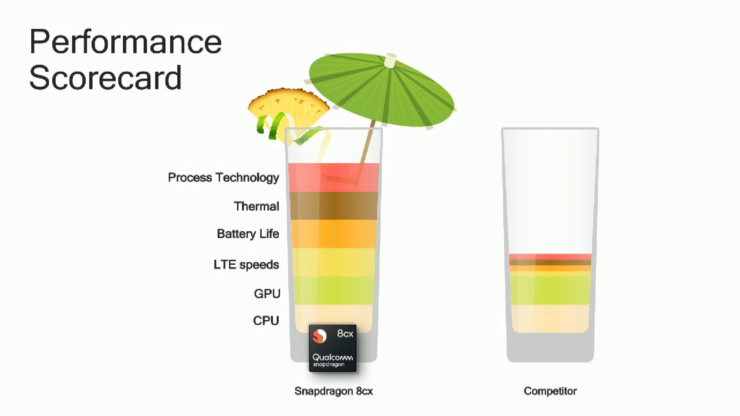 Qualcomm must certainly be proud of the latest flagship silicon because it will finally be able to compete with ultrabooks touting Intel’s processors. All the latest details you wanted to know about the Snapdragon 8cx have been given below. 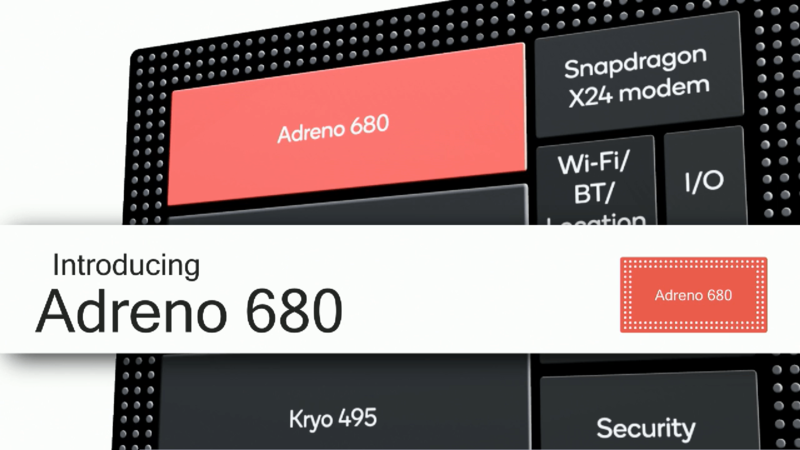 The Snapdragon 8cx features eight cores called the Kryo 495, which have been redesigned for performance. Four cores will be responsible for delivering much-needed performance, while the remaining four will focus on power-saving measures. 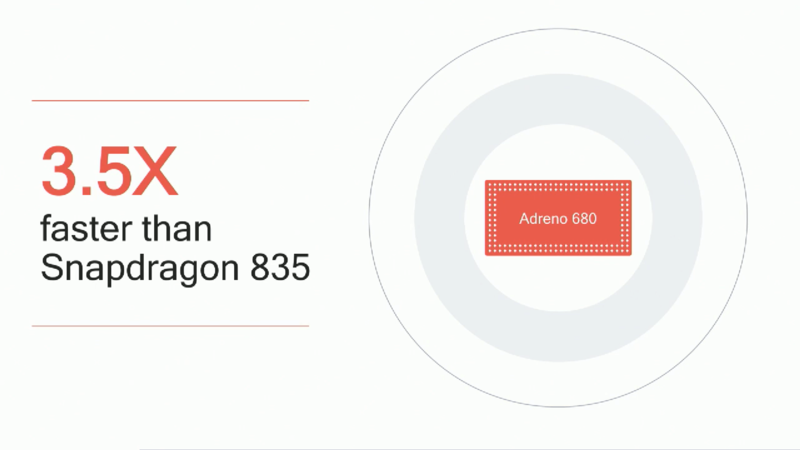 The Snapdragon 8cx also features the Adreno 680 GPU which Qualcomm states will work up to 3.5x faster than the Snapdragon 835’s Adreno 540. 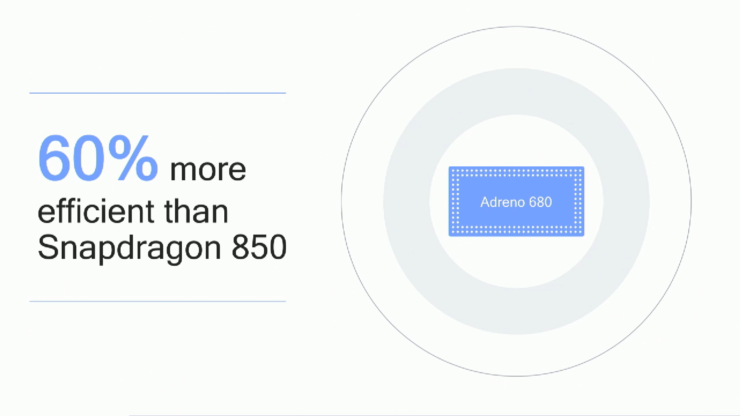 Thanks to the latest 7nm FinFET process, the Snapdragon 8cx is also highly efficient. 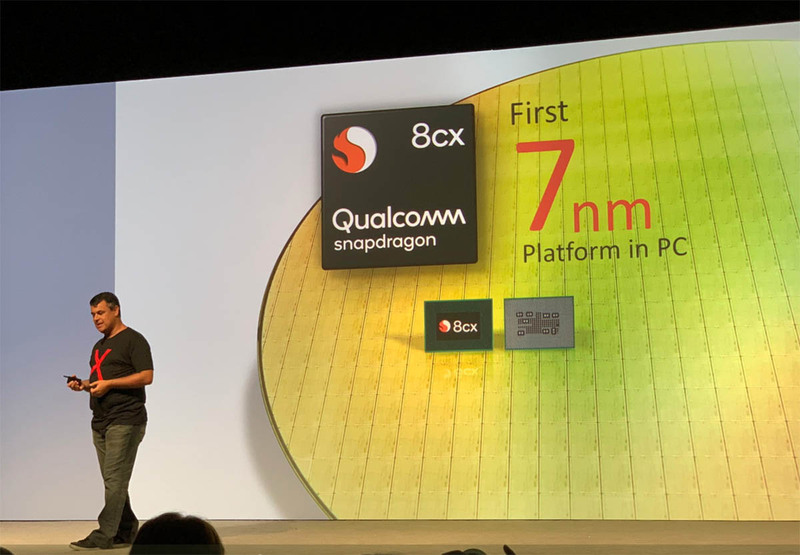 Qualcomm states that the latest silicon is up to 60 percent more efficient than the Snapdragon 850. A Snapdragon X24 LTE modem (up to 2Gbps downlink speeds) is integrated to provide seamless connectivity wherever you go. The silicon also provides support for USB 3.1 Gen. 2, PCIe 3.0 and the ability to hook up to two 4K monitors for extending your workspace. 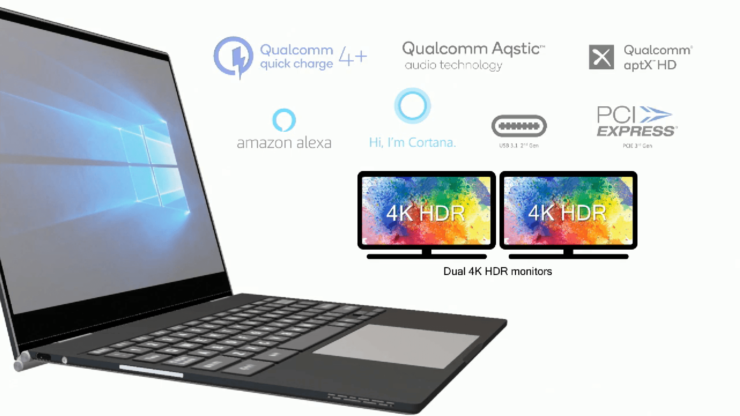 Qualcomm has also said that notebook computers featuring the Snapdragon 8cx will be able to deliver up to a whopping 25 hours of battery life and to top up that battery quicker, Quick Charge 4.0+ is supported. In order for this chip to be successful, Windows 10-powered notebooks will need to run the right software to complete the experience, with a wide range of program compatibility; similar to what you find on laptops running Intel or AMD chips. 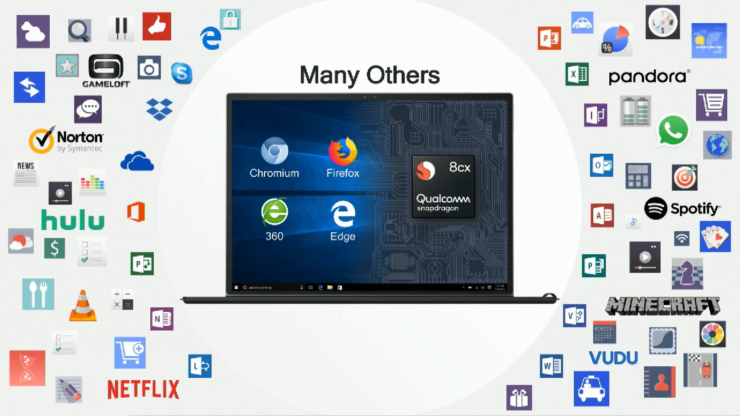 That’s why Qualcomm has stated that they want to offer the Chromium browser until the end of the year for computers running the Snapdragon 8cx. Mozilla has also announced that its Firefox browser will be accessible for machines featuring this chipset. Qualcomm did not announce any pricing details but expect it to cost more than Snapdragon 850-fueled notebooks. The company will continue to offer products featuring the previous-generation SoC, so you can expect to pay less for them. We certainly hope that we are able to look at some benchmarks comparing the Snapdragon 8cx to an Intel Core i5-8250U and see where both chips stand. Do you think the arrival of the Snapdragon 8cx in 2019 will make it a worthy competitor against Intel and its notebook processors designed for ‘thin and light’ machines? Tell us down in the comments.